If you're worried about someone challenging your will or trust, get help from an attorney. Your estate could face trouble if a displeased family member or friend challenges your will after you die. A successful challenge could allow the challenger to get more of your estate than you intended. Even an unsuccessful challenge could be expensive for your estate if defending your document requires substantial legal fees. In either case, a challenge to your will or trust would likely result in smaller gifts for your intended beneficiaries. Here are some ways to avoid a challenge to your will or trust. Every state has specific rules about how will-makers must execute their wills. If you don’t follow these rules exactly, a court can determine that your will isn’t valid. If that happens, your property may pass by intestate succession, usually going to your closest relatives, rather than the beneficiaries you named in your will. In New York, the will-maker must sign at the end of the will in front of two witnesses or acknowledge his signature to them within 30 days of signing the will. The will-maker must state that the document is his will. The witnesses must sign the will and write their physical address on it. There are special rules if a person isn’t physically capable of signing the will. Y. Est. Pow & Trusts § 3-2.1. In Florida, you have to sign or acknowledge your signature in front of two witnesses. The witnesses must sign the will in front of you and the other witness. Stat. Ann. § 732.502. In Minnesota, the witnesses must sign “within a reasonable time” after they witness the will-maker sign the will. Stat. Ann. § 524.2-502. When possible, use “disinterested” witnesses—people who will not receive any property through your will or trust. The will might still be technically valid if an interested witness signs, but the witness may lose whatever gift they would have received under the will if someone challenges it. The execution requirements for trusts are usually more straightforward than the requirements for wills. All living trusts must be notarized. However, some states – like Florida – require you to follow the same rules as those for wills. Fla. Stat. Ann. § 736.0403. 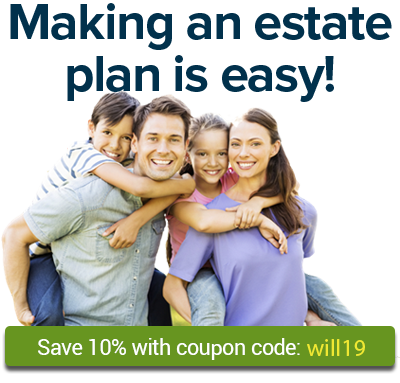 Work with an experienced estate planning attorney if you anticipate any challenge to your will or trust. Your attorney will be familiar with the rules of your state and will make sure you follow them. A no-contest clause discourages potential challenges to your will or trust. These clauses usually state that if someone challenges your will or trust, the challenger won’t receive any money or property through the document – or that they will receive only a very small amount, like one dollar. A clause like this may prevent a challenge because a beneficiary risks losing their gift. However, not all states enforce no-contest clauses, and in those states a successful challenger might inherit under your will or trust even if you include a no-contest clause. Ask your attorney about the benefits of including a no contest clause in your state. If your family members understand why you made certain decisions in your will or trust, they may be less likely to contest it. Many will or trust challenges arise because of confusion. Your children might not understand why they didn’t get an equal inheritance. One relative might think another influenced you. Talking to your relatives during the time you draft your will or trust can help avoid any surprises after you die. If you don’t want your relatives to know the contents of your will or trust now, ask your attorney about whether you should write a letter that can be shared with your family after your death. In that letter, you can explain the choices you made in your will or trust. Questioning someone’s capacity – their ability to make sound decisions and to know the effect of these decisions – is one of the most common ways of challenging a will or trust. Proving your capacity at the time you make your will or trust can help head off these challenges. If you suspect a challenge to your capacity, get help from an attorney. Your attorney might suggest that before you sign your will or trust, you get a thorough medical workup that states that you have the mental capacity to make decisions about your property. The results of this evaluation might be shared with your relatives at the time of the reading of your will or during the administration of your trust to prevent your relatives from making this challenge. In some states, using a self-proving affidavit may also help defend against challenges to your capacity. A self-proving affidavit is a document that you make along with your will. Usually it states that the witnesses swear that they saw you sign your will and that you appeared to them to have capacity to make a will. Your witnesses sign the affidavit and a notary affirms their signatures. Having the notarized affidavits of your witnesses could provide substantial help in defending your will against a challenge to your capacity. Self-proving affidavits have other advantages as well, so if you can use them in your state, it’s almost always a good idea to do so. If you and your lawyer are concerned about the possibility of someone challenging your capacity, your lawyer may also recommend some other precautionary measures. For example, you could make a video of you executing your will in a way highlights the quality of your mental state and abilities. That way, if anyone challenges your will, your lawyer will have some evidence supporting your capacity at the time you signed your will. A few states – Alaska, Arkansas, North Dakota and Ohio – allow you to probate your will during your lifetime. This allows you to ask the court to legally determine that your will is valid and that you are of sound mind. Your attorney might suggest using this option if you disinherited your children or did something really different with your property (like gave it all to your housekeeper). To probate your will during your lifetime in Arkansas, you file a legal action in the circuit court in the county where you live, asking the court to find your will valid. You have to send a copy of your court filing to the beneficiaries you named in your will and to anyone who would inherit if you didn’t make a will. The court will schedule a hearing at which you can testify and explain the choices you made in your will. You can also have your witnesses testify about your relationship with your family or beneficiaries. Ark. Code Ann. § 28-40-202. This option is usually more expensive than probating your estate after your death, but it can give you peace of mind to know that a future challenge would be very unlikely. Keep in mind that probating a will during your lifetime will only affect the will that you probated. If you make changes to that will or make a new will, you would have to go through the process again. If you anticipate that someone may challenge your will or trust, see an attorney who can help you establish capacity and guard against specific potential conflicts.